A kitchen is the heart of the home, full of hussle and bussle cooking and cleaning. 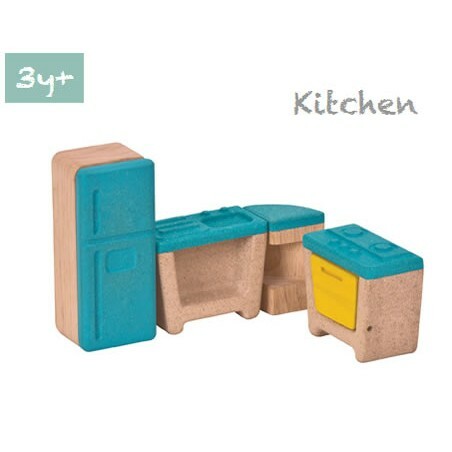 This wooden Plan Toys dolls kitchen includes a fridge freezer, sink unit, corner unit and range cooker with stove top. The perfect place to cook a dolls family meal. Plan toys are made using eco friendly non-toxic dyes in fairtrade factories in Thailand!